Today I was lucky enough to attend the launch event for the proposed Queen's Park Community Council. 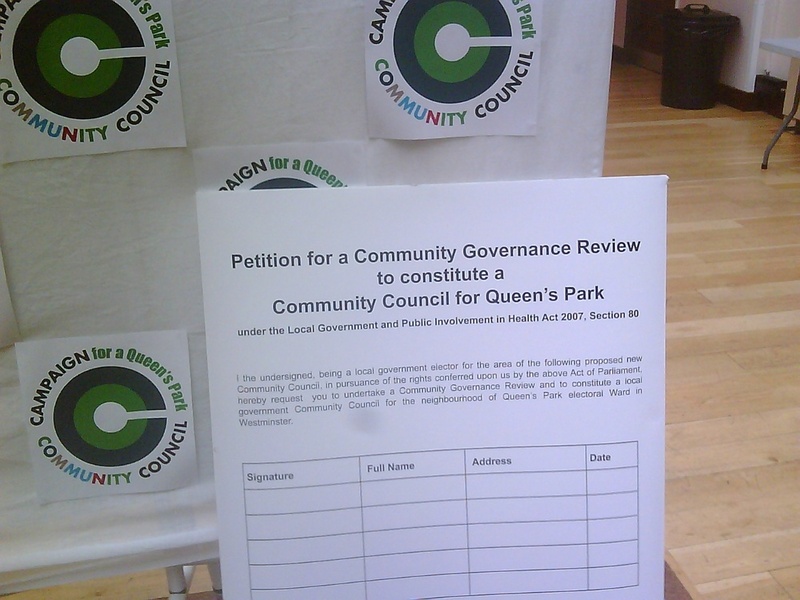 The campaign to create a statutory community council has come about because the Queen's Park Forum, created by the Paddington Development Trust, is about to have a 100% cut in government funding. The local council proposal is intended to preserve and continue the work undertaken since 2003. It is the most advanced proposal for a community council in London and could be on track to be the first. The Queen's Park ward of Westminster appears to be one of those neighbourhoods in a local authority area that through accidents of geography and history are left on the sidelines. The area was once administered from Chelsea, three miles away to the south, until in 1900 when it was added to the northern tip of Paddington. Since 1965 it has formed the northwest protrusion of the City of Westminster. Perhaps because of this history or because of political and physical differences with the rest of the borough, it has needed its own voice in order to flourish. The campaign launch was positive and clear: your community is under threat and a statutory community council could provide a lifeline. The organisers must gather enough signatures (10% of electors) to force Westminster City Council to consider their proposal. The Queen's Park proposal has a number of things in its favour. First of all the messy business of boundaries is taken care of. 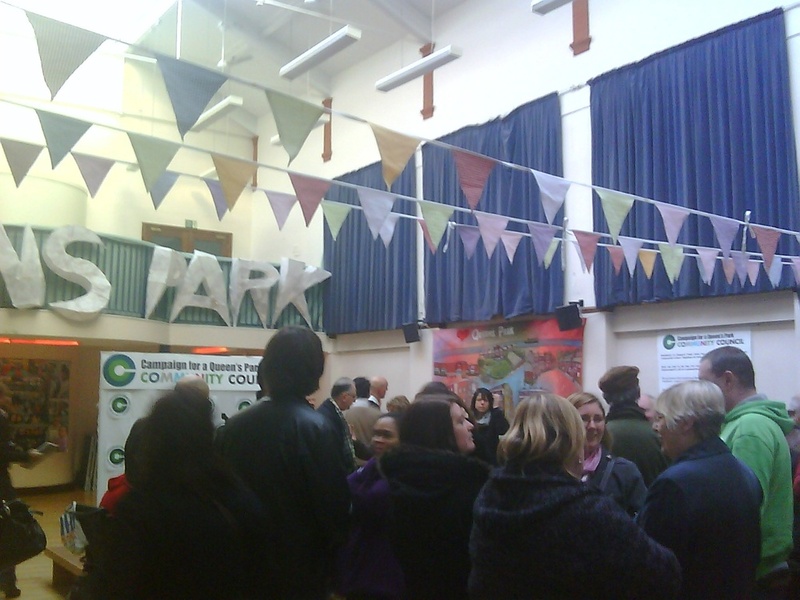 The council will operate in the Queen's Park ward, which is the same area as the forum. Secondly, the existing forum has a track record of achievement and, finally, the networks in the community are already there. The two speakers at the event from the Queen's Park Forum were confident, articulate and proud of what their community had done and what they saw as its future. As they spoke I felt convinced they would succeed. The campaign is well organised. The message clear, concise and not bogged down in technical specifics. There was photography, media involvement and a sense of occasion was created. The proximity of the impending cuts created a feeling of urgency which is probably an advantage in getting traction. The challenge, of course, is getting the message outside of the room and connecting will all sections of the community, those who don't come to such meetings, and locking them in to the proposal.